Welcome to my first dividend income update for 2019! For those of you new to these posts on my site, for the last few years, every month I discuss our approach to investing using Canadian dividend paying stocks. Approach #1 – we own a number of Canadian dividend paying stocks for income and growth. At last count, we own 27 different Canadian stocks within our non-registered account and within our Tax Free Savings Accounts (TFSAs). We own these stocks because we believe buying and holding our DIY bundle of Canadian dividend-paying stocks will, over time, provide some steady monthly income for future wants and needs in retirement. That’s what these monthly income updates are all about! Approach #2 – we’re owning more units of low-cost U.S. Exchange Traded Funds (ETFs) inside our RRSPs over time. We believe in doing so because investing beyond Canada’s borders will provide additional and much needed diversification. (I believe that now, I didn’t always think that way.) Also, by reinvesting all the distributions paid from these ETFs every quarter, we are focusing on long-term growth inside our RRSPs. We still own some Canadian stocks and some U.S. stocks inside our RRSPs, (names like AT&T, Verizon, Procter & Gamble, and Johnson & Johnson to name a few) but we’re buying and holding more U.S. ETF units every quarter going-forward. In a recent post, just as an example of what I own in my RRSP, I shared this update on Procter & Gamble (PG) here. You can see some of my favourite U.S. listed ETFs for income here – including the ETFs I own. 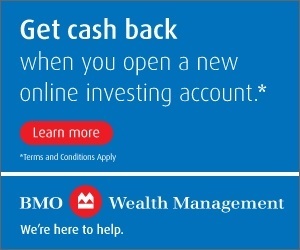 But back to approach #1 – these monthly income updates focus exclusively on our Canadian dividend paying stock journey using our TFSAs and non-registered account. I suppose I could include income updates from other accounts like our RRSPs, my Locked-In Retirement Account (LIRA), but I’m lazy when it comes to currency conversion and other factors for such updates. Besides, we’ll eventually need to draw down our RRSP and LIRA assets. For semi-retirement, I hope to live off dividends to some degree! That goal remains alive and well! The income received from these Canadian companies we own is real; I do not have to hope for just stock price gains to fund our retirement. There will be tangible income I can spend without selling stock shares to do so. I can count on many of these Canadian companies to increase their dividends over time, helping to protect us from inflation. Just as an example, Suncor (SU), Great-West Life (GWO), and Bell Canada (BCE) all recently increased their dividends within the last month! The dividend income earned inside our non-registered account and TFSAs, helps me stick an investing plan I believe in. This behavioural benefit is huge. Sticking to any plan, especially one you believe in, will save you in transaction costs and help you avoid poorly timed investment decisions. Win-win. 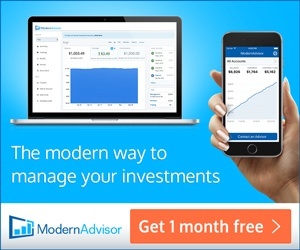 I can control the portfolio turnover, not a fund manager I have to pay. With my buy and hold and reinvest the dividends approach, I don’t have to pay a money management fee. Dividend-growing companies tend to be solid performers so you get dividends and capital gains over time. Those are just some of the reasons I/we own dividend paying stocks – and we’ll continue to do so. Since my December 2018 update was posted, where I highlighted we crossed a new significant milestone of $17,000 per year in dividend income, I received a few questions about my investing approach and journey to date. Let’s answer those questions now before I share my January 2019 tally. I have been scouring the site trying to find out how much your initial dividend portfolio was worth. Well, it wasn’t worth as much as it is now – see above my chart from December 2018. But we’ve done a lot of saving and investing since late 2008, when I really started my shift into dividend paying stocks and lower cost ETFs across my portfolio. I’d have to go back and get the actual numbers but I recall my RRSP value in big bank mutual funds was about $80,000 or so, some ten years ago. Beyond my LIRA, that was the only retirement account I owned. 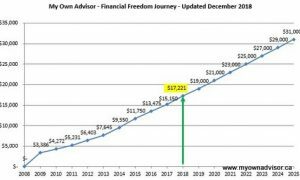 Since then, we’ve worked hard to max out contributions to our TFSAs (x2); max out contributions to my RRSP (already done for 2018 tax year) and we’re focusing on maxing out my wife’s RRSP in the coming year or so. This is how I built my dividend income portfolio and how you can too. I really enjoy your site and reading about your journey. You keep it very personal and easy to read which is very appealing. Have you considered using a low-cost ETF like XIU or ZCN or VCN to use for your Canadian portfolio? Do you think by owing banks, utilities and telco stocks directly you’re putting yourself at risk? I have considered owning XIU and other Canadian ETFs (actually I owned XIU for a few years) but I’ve decided to unbundle my Canadian ETF for income and growth. Until these Canadian banks, utilities and telco stocks stop increasing their dividends every year or so, I probably won’t consider switching my strategy. I’ve basically built my own Canadian dividend ETF except it doesn’t cost me any on-going management expense fees. Do I think I’m putting myself at risk? Maybe a bit. Dividend investing has risks for sure including under-performing the market. But then again, if these top Canadian companies all stop working, all go under, at the same time, everyone is going to be in a world of financial hurt – including the passive funds like ZCN and VCN and XIU that invest in these companies at well. Ottawa condo property taxes at $500-600 per month. Even if property taxes increased every year going forward by 3-5%, which I expect, some dividend increases from the 27 companies we own should help offsite property tax increases every year. Our current home maintenance and home insurance costs or our future Ottawa condo fees ~ $500 per month (that includes building insurance). Again, those fees will rise over time but so will our dividend income. Enbridge gas bill. We are now earn enough dividend income from Enbridge (ENB) stock in our non-registered account alone, each year, to pay for the Enbridge gas we use in our current house (or will use in our future condo). Hydro bill. Between various utility stocks we own, like Fortis (FTS) and Emera (EMA), we are now earning enough dividend income from these two utility companies to cover our hydro bill every year. Once again, with all the praise of dividend investing mentioned above, I need to tell you dividend paying stocks provide no guarantees long-term. Companies cut dividends, change their Dividend Reinvestment Plans and in some other rare cases, cancel their dividends altogether. These things have happened to me and they can happen to you. Stock selection is not without risk. In fact, no investment is without risk. That said, I feel as long as we diversify our stock selections across many Canadian companies, I believe it’s a sensible income-oriented strategy that ties in nicely with my growing low-cost ETF investing approach inside our RRSPs. I have full confidence more dividend increases will occur in my portfolio in the months to come, from our Canadian banks in particular. With more dividend raises, that will mean more income; more shares will be reinvested and more shares reinvested will deliver more income over time. I know you get the idea of compounding. When it comes to our stocks – I love it. Got questions for my investing journey? Fire away. Happy to help answer and provide insight. Let the journey continue! 25 Responses to "January 2019 Dividend Income Update"
You’re doing it right. I believe had I adopted the same approach and stuck with it at a much earlier age I would be a lot further ahead than we are now. Water under the bridge and we happily march on, thanking our lucky stars for where we are. Best wishes in 2019 to you and all investors and readers of the site. Congrats Mark. Our contributions to TFSAs this year is still in MM. Waiting to deploy that cash and some more. I have similar thought as RBull. Also, thanking our lucky stars for where we are now. We are already more fortunate than majority of Canadians. Thanks very much but I can’t take all the credit. The portfolio with many stocks DRIPping every month and quarter is largely on autopilot. Took many years to build but the snowball is now in motion! I really begin to feel the snowball effect this year. So far I got $500 more forwarding annual dividend income from dividend raises alone. It’s not even two months yet. Of course I figure I should not expect this kind of dividend raises for each month. Really nice to think even when I stop dripping and begin to live off the dividends, dividends will continue to increase year after year so that I don’t need to worry about inflation. That’s my hope as well May. No guarantees of course but my graph over the years certainly demonstrates a trend! Continued success to your investing journey. Nah, it’s your plan that you’ve stuck to. There are many ways for an investor and saver to get off track, and you haven’t fallen victim to them. congrats on the raises as well. Love that you already got all those accounts topped up as well. Hi Mark, congratulations on your impressive results so far. You may have mentioned this before, but I am curious about your DRIP strategy. It seems that you DRIP regardless of what the stock price is doing, which means that for stocks steadily moving upward, your average cost per share is also getting higher. I am definitely an investing amateur, but this is a concern for me as it seems to gradually degrade whatever buffer I have between the current (higher) price of a stock and my average cost, so I tend to DRIP only when the current price is less than my average cost per share. Is it because you see your stocks, especially the big banks, as buy and hold forever, so any additional shares can only be a good thing, regardless of what happens to your average cost? You raise an interesting point. Stocks are moving higher in Canada – so with DRIPping I’m potentially reinvesting shares at more expensive stock prices. However, the inverse was true last year. Canadian markets did poorly and I took advantage. Whether to DRIP or not is a personal/behavioural choice but for me I get satisfaction from seeing more shares accumulate in my portfolio. It helps me stay the course and in many cases, keeps my portfolio on autopilot. I don’t even have to think about what to do with the cash. Happy Valentines Day everyone. Take a moment to make someone feel they are special in your eyes. Congratulations Mark on your results. It’s so fun watching dividends grow over the years but here are two suggestions to speed things up. 1) Set up your DRIP so that you get at least one full share every time there is a dividend payout. This can be a bit tricky to do as the stock price fluctuates but most bank self directed accounts won’t allow you the purchase of partial shares. You end up getting cash instead which means that eventually you have to pay the transaction fee when you want to purchase. Canadian banks are crazy smart at making money so don’t just complain about them, buy them. 2) If your stock holdings are in your unregistered account, you can send a cheque to the holding company and there are no transactions fees and they will add partial shares to your total. There is usually a simple tear off form on the quarterly statement they send you. They don’t hold cash and you never pay a transaction fee. We have done this a few times and it sure helps speed up the dripping process. I love the fact that you can get enough money back from Enbridge dividends to cover your gas bill. Thanks Gruff. Only trying to catch up to folks like you! 1) I do have many, many synthetic DRIPs running, well over 30 DRIPs to allow full shares to be reinvested. Money that makes money can make more money. 2) I used to have FULL DRIPs running with stock transfer agents but I’ve since simplified everything under a brokerage – but you’re absolutely right – you can send a cheque to the holding company/stock transfer agent and there are no transactions fees. Actually, the transfer agents have evolved. Some of them can take pre-authorized payments now – welcome to 2019 Computershare. Sorry, slight correction to my last comment. If your stocks are in a self directed unregistered account you WILL pay transaction fees to purchase and sell. If the stock is directly with the Holding Agent there are no fees and you can send them a cheque to buy more, including partial purchases at no cost to you. Apologies if I confused anyone. If you own BAM.A you got another raise today. Congratulations, Lloyd. I don’t own any yet but plan to buy some. I got a raise from Trans Canada. 8.7% increase from 69 to 75 cents per quarter, very nice. Love it. Goes nicely with my existing 150 shares 🙂 Thanks for making my Thursday May! We share many great canadian stocks that increase their dividends yearly. Do the canadian and US ETFs you own increase their dividends yearly as well? Similar to mutual fund trusts, ETFs can distribute interest, foreign income, dividends/distributions and capital gains to shareholders. The ETF distributions are usually relative to the portion of the ETF that invests in stocks that pay dividends. This may not be exact though due to costs to manage the fund, etc. I’m not sure if many (or any) have any EIF but the price is going crazy today (Tuesday 19th). Now I’ve seen this happen in the past just prior to a quarterly report and lo and behold a report is being released tomorrow evening. Kinda wonder if this portends an increase in their dividend. I hope this is just investor speculation but I suspect there may be a little bit of leakage of data. That concerns me. Not too sure. Don’t own EIF but I know a few investors who do for the income/cashflow. I would have to dig in to see if any news came across the wire? Maybe it will recover? Maybe it won’t. But if you’re in retirement with a dividend portfolio you may not be ‘hoping’ that stocks continue to grow, but you’re still ‘hoping’ that dividends don’t get cut. Do you hold this one Mark? During the asset accumulation phase, there is no debate. Total return is all that matters. Buffet and Bogle (Rest In Piece) are all over this. It’s good to see you buying more and more ETFs, I think when this is all said and done most of your income (and subsequent return) will have come from your ETFs. What kind of split do you have right now, Dividend Stocks / ETFs? 30%/70% ? I was digging around your site and although I do see your dividend growth (and it is impressive) I haven’t found anywhere your annualized rate of return. Are you able to post that? Interesting comment about SNC. I talked to a few people about this recently. They asked: “Hey Mark, you buying now with all this drama?” “Nope” – was my answer. I don’t see anything magical about SNC that is worth owning – no “big moat” if you will. I prefer to own companies in Canada (and the U.S.) you really can’t live without. Everyone needs to bank. Unless our big-6 banks stop paying dividends, I will own them all for as long as I live. Everyone needs electricity, so I own utilities. Nobody is going to give up their internet or cellphone. So I own telcos. You see where I am going in Canada for investing. The U.S. is a different story and their market is not dominated by 40% financials nor 25% energy. So, I own U.S. ETFs there and I always will. I hope to buy more VYM or HDV later this year actually. I too have an oh $hit fund, about $10K now. I hope to have one years’ worth of expenses (say $50K) in the next 5 years. Thanks for the thoughts on the ETFs. Like I mentioned, I am buying more U.S. ETFs over time – I didn’t have any U.S. content 10 years ago. My CDN portfolio is up almost 12% this year to date but that’s because I own the same stocks that XIU does – my CDN benchmark. VYM is likely my best benchmark for my U.S. assets since I own JNJ, VZ, PG, PFE, T directly. I hope to have closer to 600 units in VYM in the coming years.